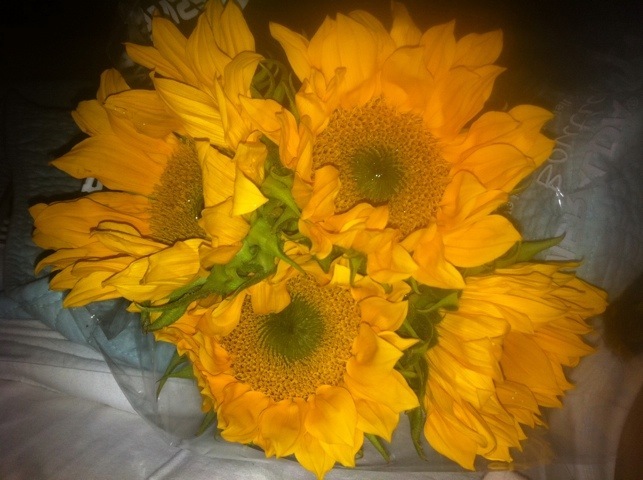 John brought me home some sunflowers!!! How awesome are they?! They look great in our new dining room!! 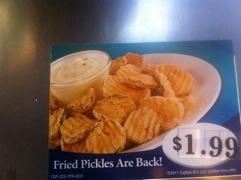 I found out captain ds started to carry my favorite…FRIED PICKLEs!!!!!! …..however, I must include that although they look GLORIOUS…they just tasted like fried air. (thanks dear for the great description) I need to write a letter. Dear Captain…. 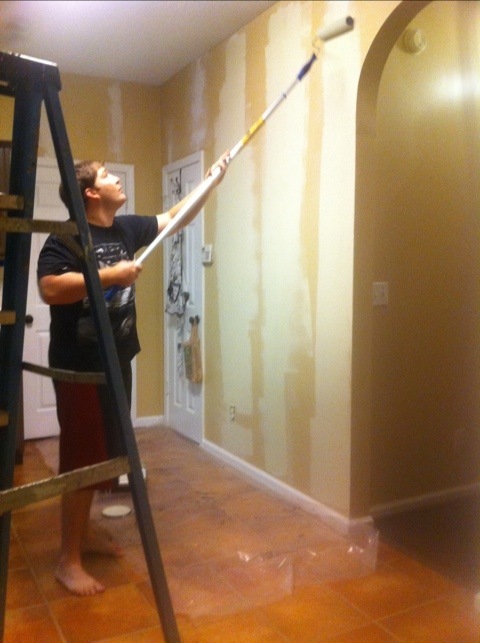 John primed and painted the kitchen! It looks great!!! And today was birth class Monday! I usually complain about the thing, but tonight wasn’t too bad. We learned about swaddling and how to hold baby while breastfeeding. Two things that I did not have prior knowledge of! 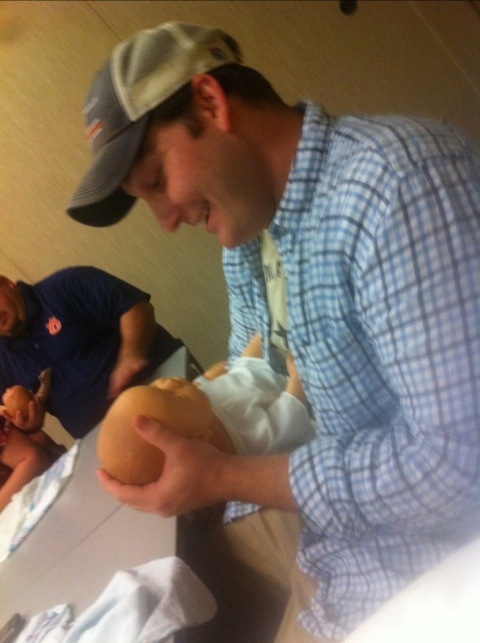 I got a few pictures of John with our class baby haha! I liked picking it up and holding it…it makes me REALLY want to hold my own baby ASAP!!!!! I hadnt thought much about it until tonight but it’s stuck in my head now! I want to hold her, smell her, play with her feet…all that jazz!!! I guess I’ll have to wait a little longer. One thing that made me like the class more tonight was the instructor took time to feel my tummy. I asked her if she could feel how baby e was turned. I like having people do all that belly rubbin’ business!!! It makes me feel special and paid attention to!! 🙂 pet me!!!!! I’m SOOO Excited for you guys 🙂 ! The pic of John holding the pretend baby is Hilarious!! !